i build the Android source 8.1,but not succcess boot from sd card,anybody know why ?? i just want to run the sdcard boot image for rock64 board by build it myself by http://files.pine64.org/os/sdk/ROCK64/ROCK64_RK3328_android8.1.tar.gz source code. how should i do , or change something? I have a rock64 board(mem 1g),and i have download the ROCK64 Android Oreo ver8.1 SDK from link http://files.pine64.org/os/sdk/ROCK64/RO...8.1.tar.gz. drwxrwxr-x 2 vps vps 4096 Nov 23 07:49 .
drwxrwxr-x 3 vps vps 4096 Nov 23 07:47 ..
the board could note boot success! The Android source is set up to use the flash. You are booting from SD card and don't have a flash module. I tried screwing around with the source to adjust it to work from only SD card. I gave up after a while and bought a flash module. It is unable to mount things because it is trying to mount them from the flash device. What is the way to compile ? 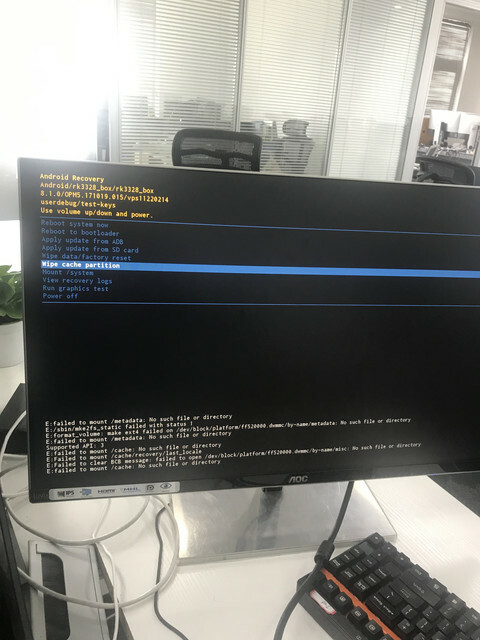 I tried 'source build.sh' but Build uboot failed ? Am I missing some tools ? (03-13-2019, 02:52 PM)jonsmirl Wrote: [ -> ] The Android source is set up to use the flash. You are booting from SD card and don't have a flash module. I tried screwing around with the source to adjust it to work from only SD card. I gave up after a while and bought a flash module. It would be better if Pine64 provides a patch file to fix things. They have released Android Oreo 8.1.0 Image for SD Boot so they should have the working source code with them.